You may not be familiar with Seasonal Affective Disorder (SAD) but it is a form of depression that people experience at a particular time of year or during a particular season. SAD is most common in countries like the UK where there are large changes in the weather and daylight hours in the different seasons. Most people experience SAD during winter and there are a number of established techniques to tackle it. However, there's a new psychologist-recommended technique to add to the list of SAD treatments - watching TV. 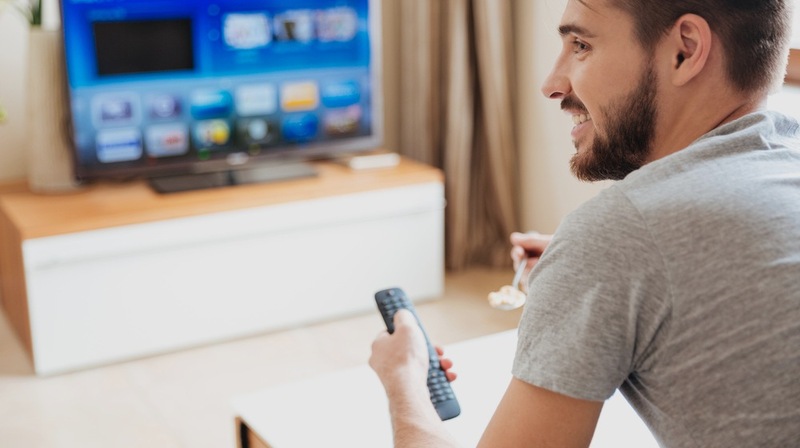 With this in mind, leading flat and house share site SpareRoom commissioned psychologist Elaine Slater to research how watching television shows and films with others could have a positive impact on fighting SAD symptoms. According to Slater, "“Having spent time reviewing many TV shows and movies, it’s clear they are a mirror for everyday life. In the context of Seasonal Affective Disorder symptoms, television offers a window on a broad spectrum of similar issues. The ways characters not only engage and grapple with these issues, but in many cases demonstrate great resilience in overcoming them, can help us in our own lives." After establishing a methodology to determine which TV series and movies have the potential to alleviate SAD symptoms, the psychologist has analysed content from across Netflix, Amazon Prime and NOW TV to identify a list of 20 titles with the right qualities to help beat SAD. The criteria used to determine which show might help tackle SAD include demonstrating the importance of relationships, inspiring hope, reminding us we shouldn’t be afraid to be our authentic selves, showing scenes of laughter and joy and containing lessons about not being afraid to overcome challenges.